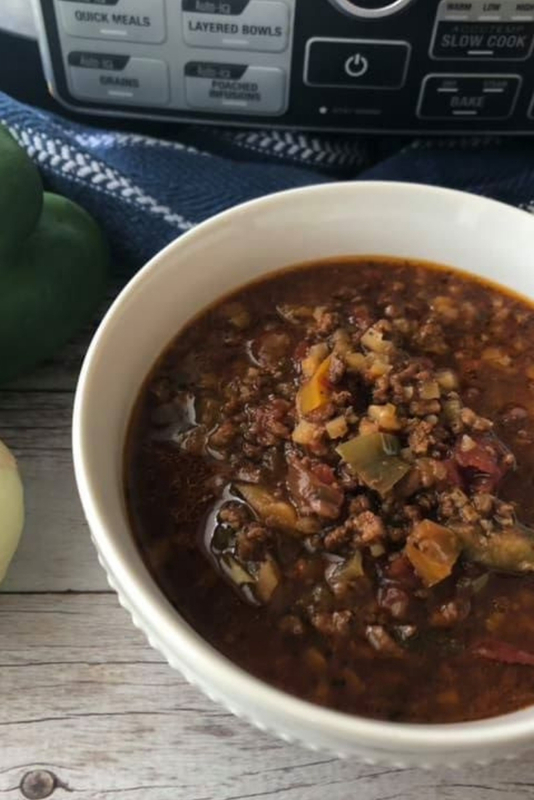 This Keto Stuffed Pepper Soup is perfect for the chilly winter nights. It’s hearty, flavorful and best of all, keto-friendly. I’m a soupie…like a foodie, but for soup. 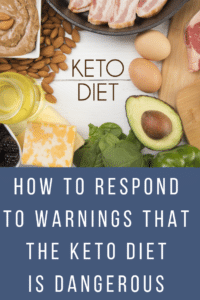 I love when those cold nights and evenings come around because that means that I can cuddle up with a bowl of keto-friendly soup. This low carb stuffed pepper soup is seriously delicious. 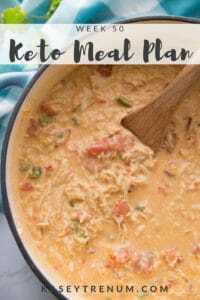 It’s no secret that I make a ton of keto recipes every week, and this soup is one of my new favorites. 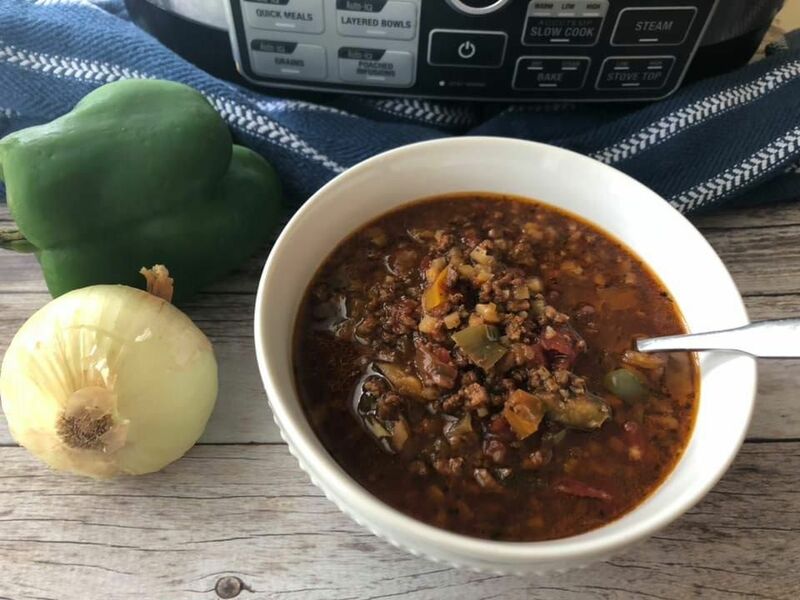 One of the biggest reasons that I love this Keto Stuffed Pepper Soup is because it’s not labor intensive at all, but it delivers a powerful punch of flavor. I often make a big pot of soup on Sunday afternoon or Monday morning to cover our lunches for several days. 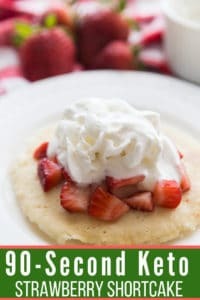 I always view a recipe as a huge hit when my kids’ request “seconds”……..and this recipe delivered just that. I could hear the scraping of the spoons in the empty bowls searching for the last spoonfuls, and I knew that we’d found a soup recipe hit! 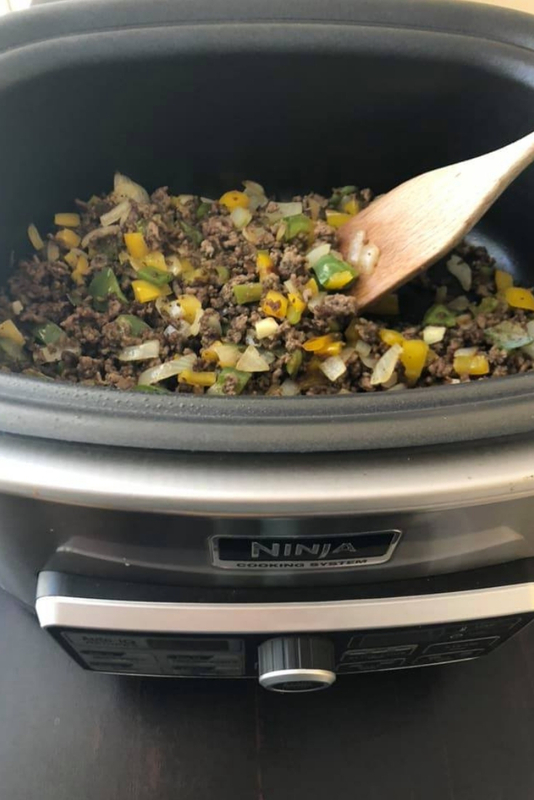 You start off by browning the ground beef, onions, and peppers. 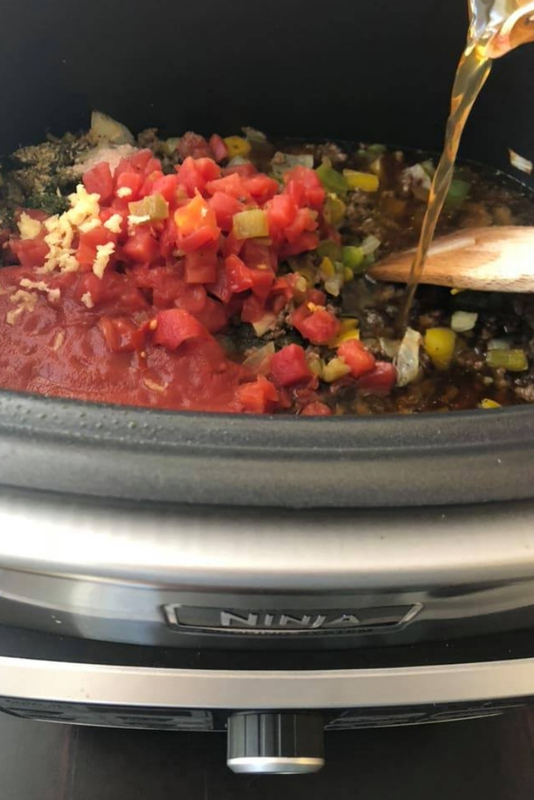 The Ninja Slow Cooker is my favorite slow cooker. I can’t tell you how much I love the fact that I can brown the ground beef and then slow cook it all in one in the slow cooker. Plus, if I want to reduce the soup, I can turn it on the stovetop function and boil it or leave it on “stay warm” to serve later. 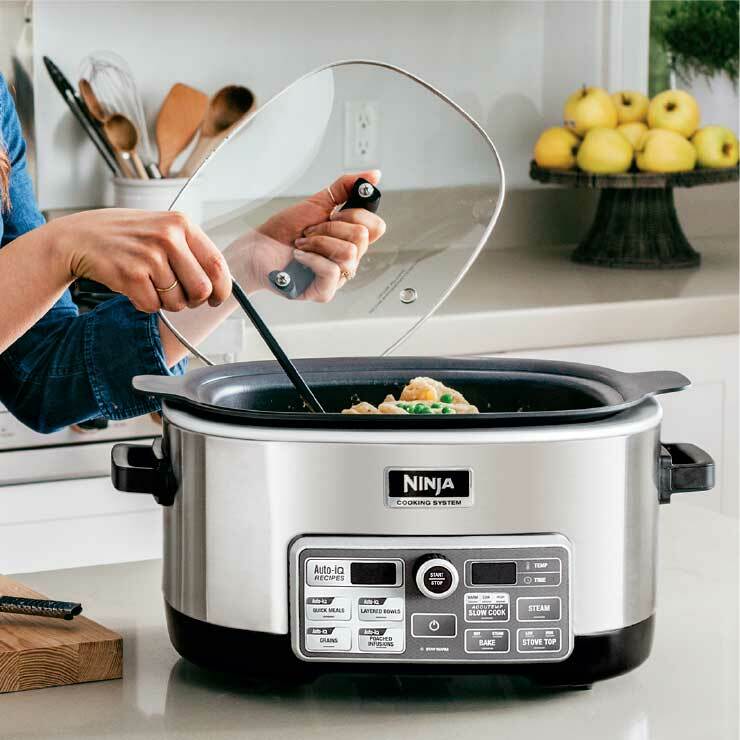 I didn’t think there was that much of a difference between slow cookers but the Ninja Multi Slow Cooker proved me wrong. 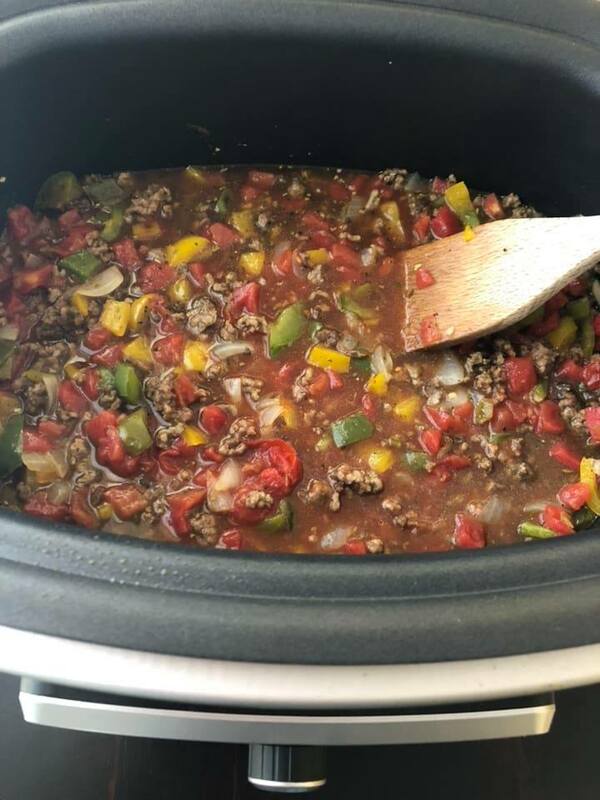 Not only does this Low Carb Stuffed Pepper Soup include cauliflower but there two different types of peppers and tomatoes as well. Anytime I can sneak in some extra veggies here and there; I will! If you like your soup a little spicy, you can also add some fresh jalapeno slices as well! Guaranteed to kick this soup recipe up a notch! 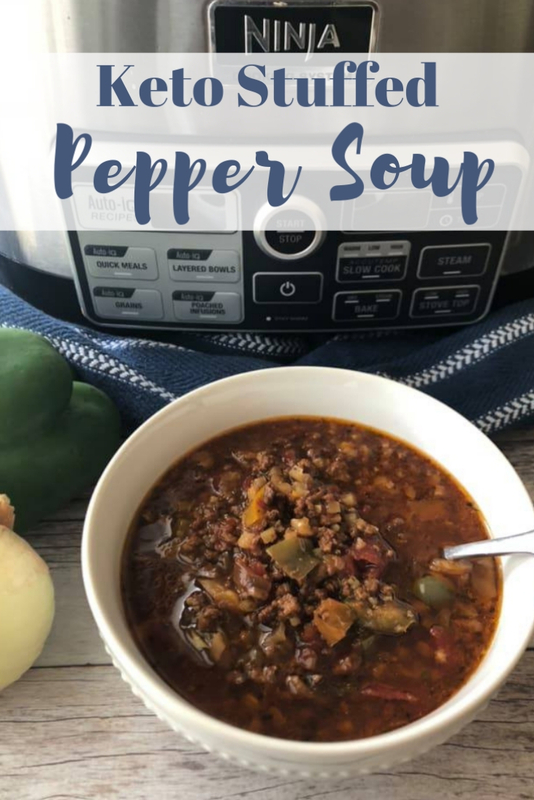 If you keep ground beef already browned in the freezer, then all of the ingredients for this Low Carb Stuffed Pepper Soup recipe can be thrown in the slow cooker in minutes. This makes for such an easy and fast dinner. Even my youngest baby girl, who is almost two, loved this soup and asked for a second bowl. 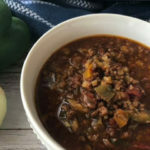 This Keto Stuffed Pepper Soup is perfect for the chilly winter nights. 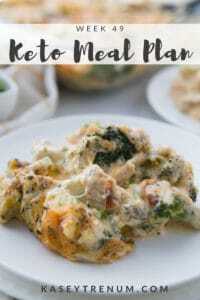 It's hearty, flavorful and best of all, keto-friendly. Brown ground beef with onion and garlic. The last 5 minutes of cooking, add the chopped green pepper. Drain. 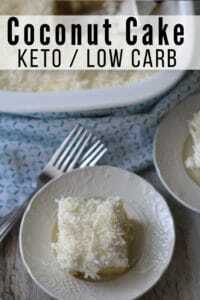 Add all ingredients including the riced cauliflower to the slow cooker and cook on low for 8 hours or high for 4. I don’t have brags aminos. Is there something I can substitute for it? It’s a healthier version of soy sauce.